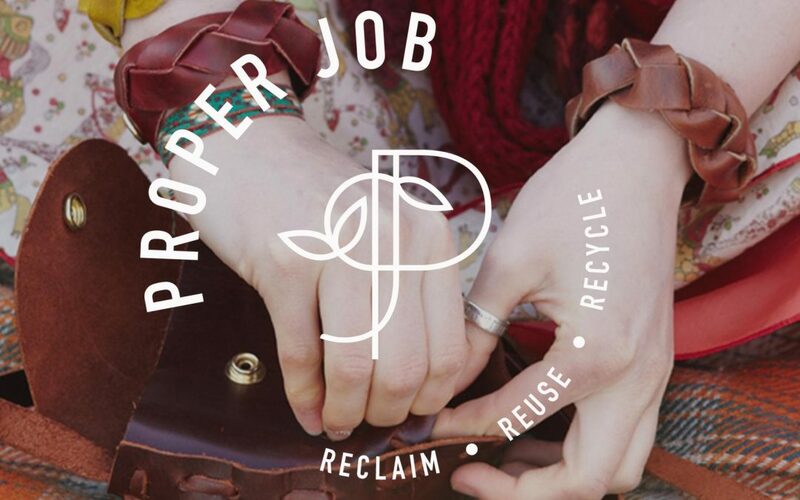 Proper Job and Green Shoes are collaborating to host these special two hour workshops. Learn how to make a simple purse, keyring or bracelet from leather off-cuts and scrap material, whilst enjoying the atmosphere of the Green Shoes Workshop. Create something truly unique and fabulous whilst reusing the off- cuts from shoe making. Feel free to bring your own applique or use ours. Get creative, you could bring; ribbons, buttons, fake flowers, etc. Vegan options are available. The workshop will be held at Green Shoes, Moretonhampstead with either morning or afternoon slots available. This workshop is suitable for anyone aged 4+, but children must be accompanied by an adult please. The cost for this workshop is £10 + booking fee for all ages. Only 8 spaces available in each session so early booking is recommended!